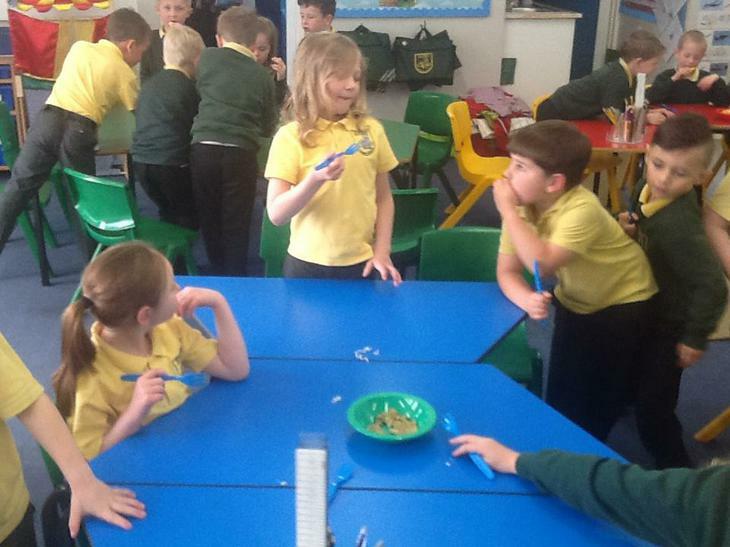 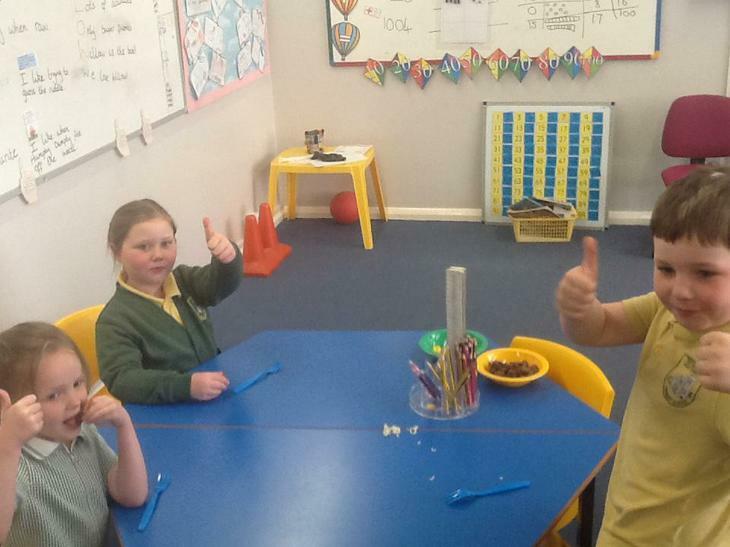 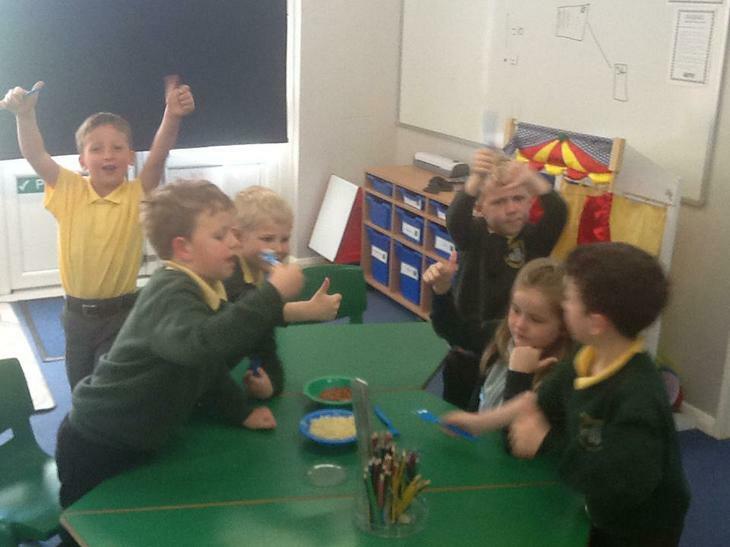 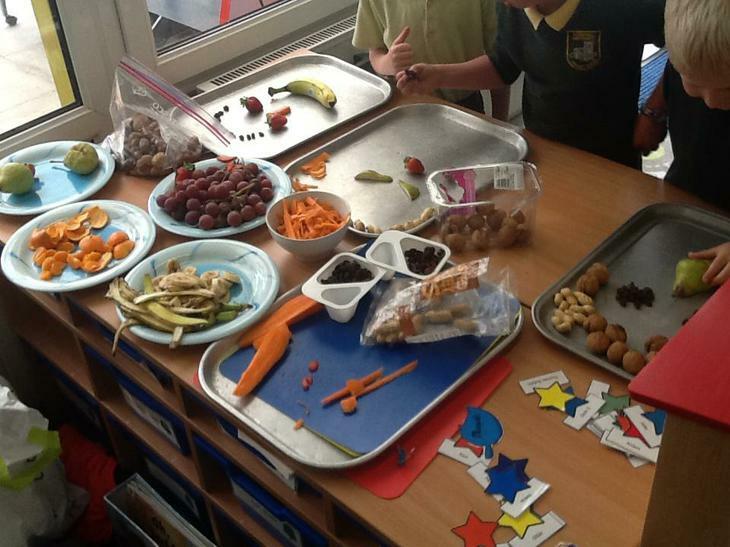 This week we turned Willow into a world kitchen and tried a different food from each continent. 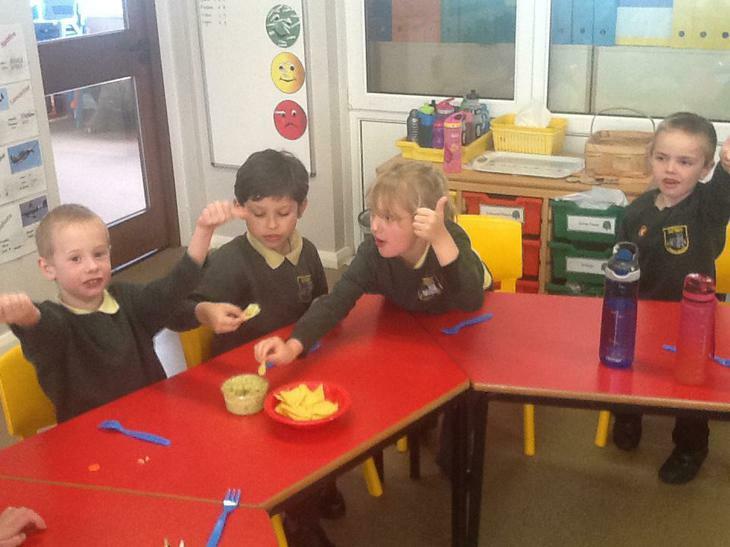 We had olives from Europe, guacamole from South America, pepperoni from North America, mango from Africa, noodles from Asia and crispie cakes from Australia. 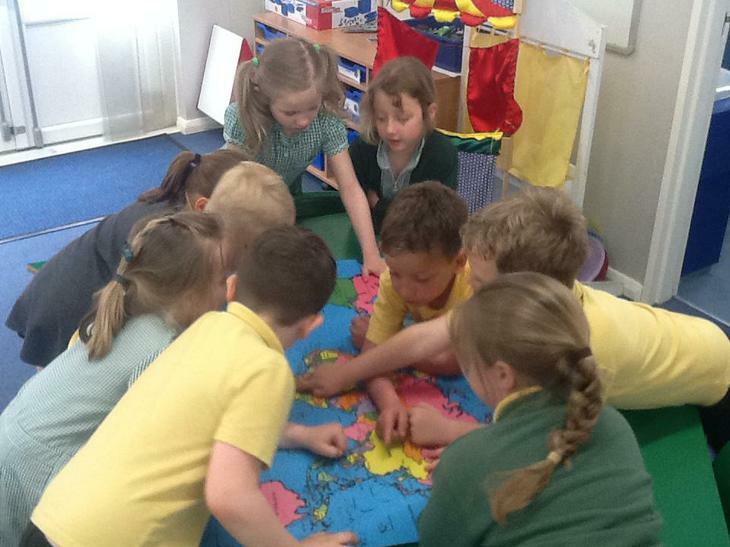 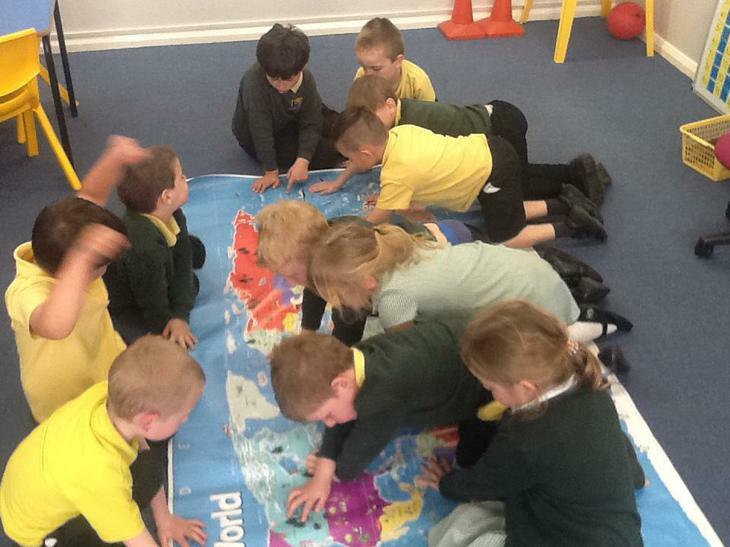 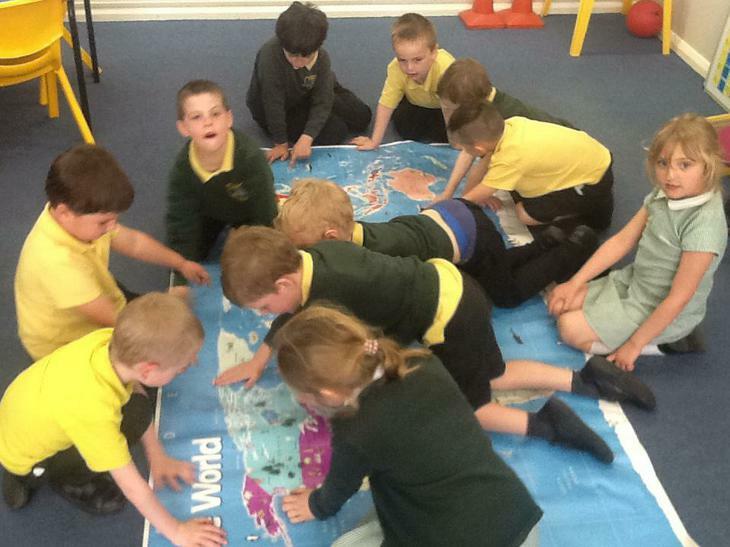 We then explored our world maps to find out which continents they derived from. 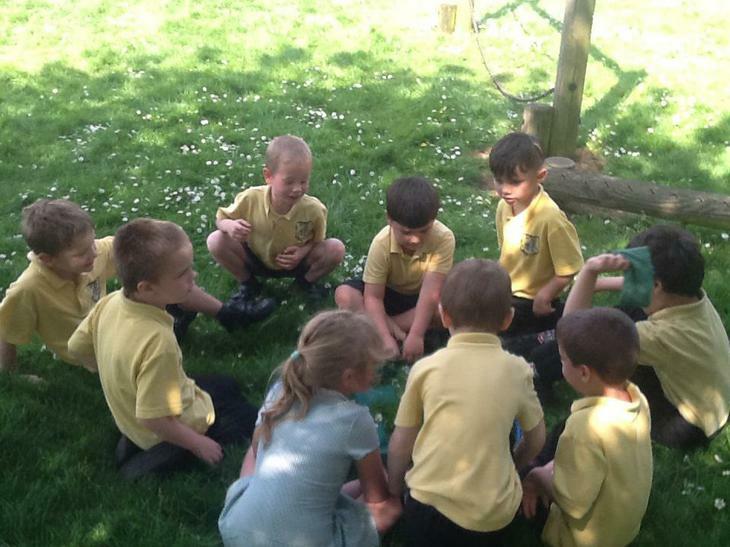 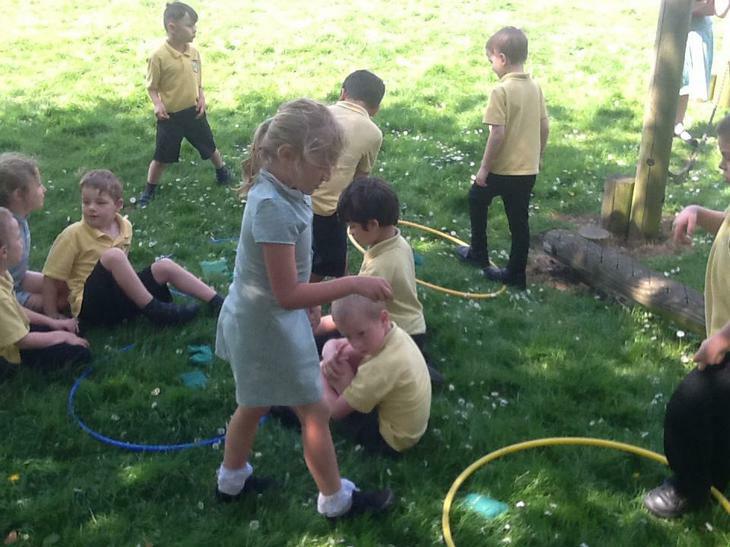 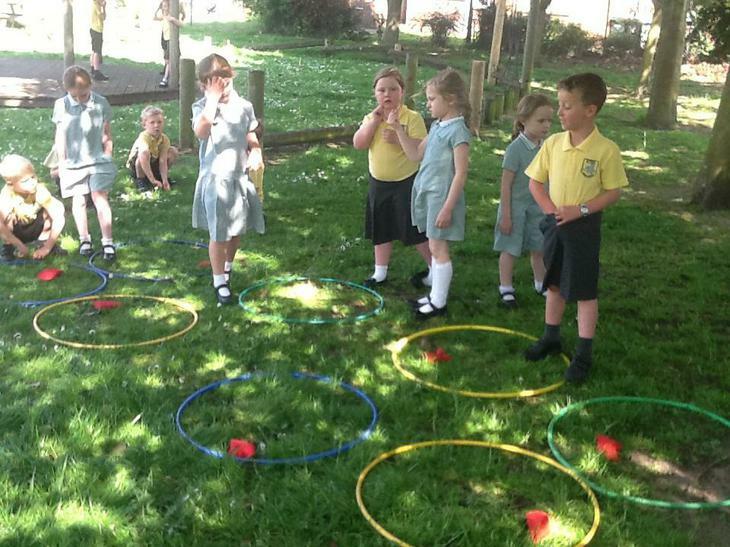 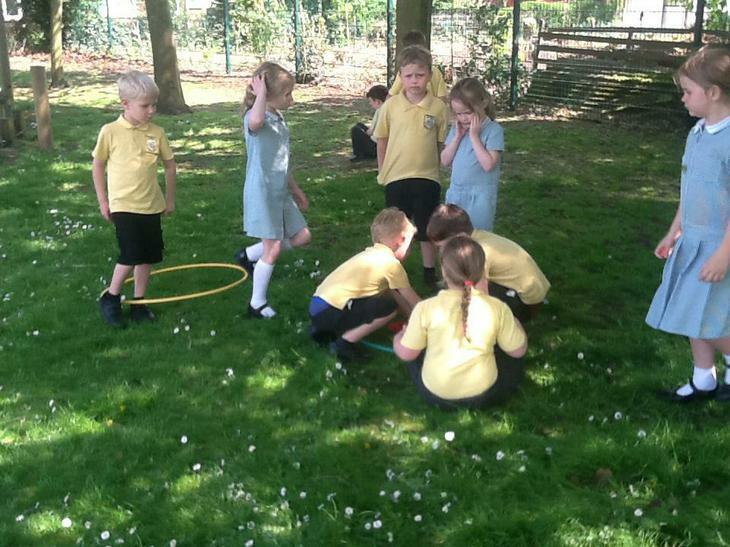 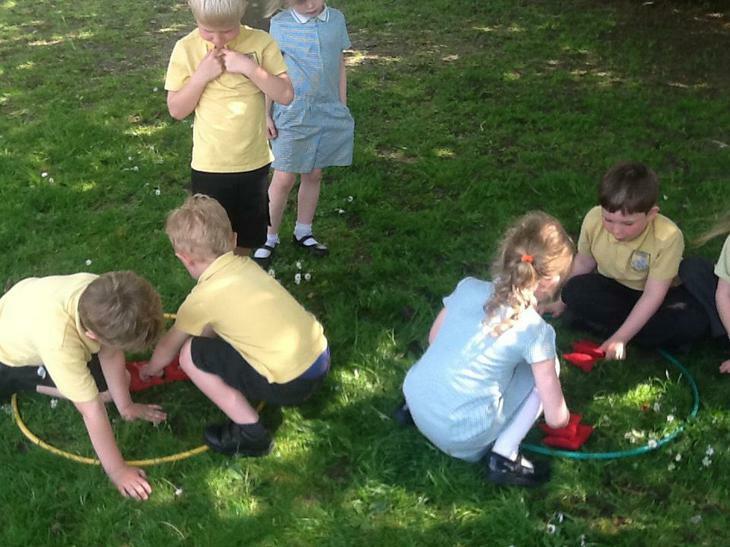 This week we took advantage of the weather and took our maths lesson outside. 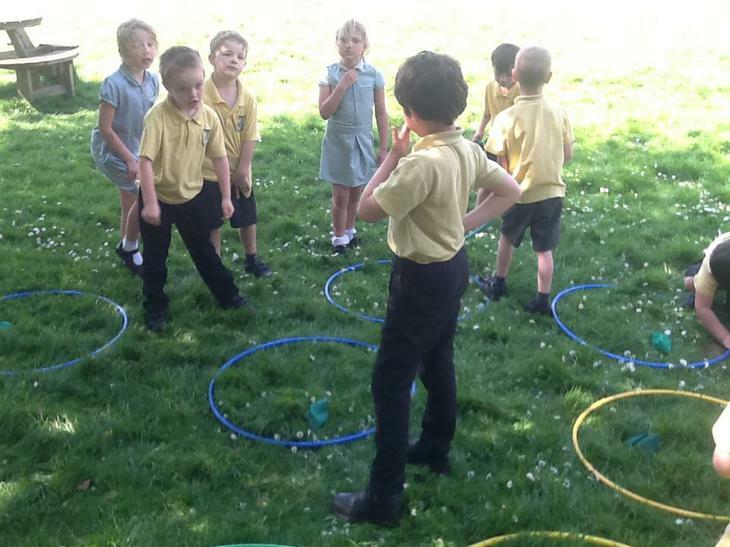 We used our problem solving skills to share our bean bags into halves and quarters using hoops. 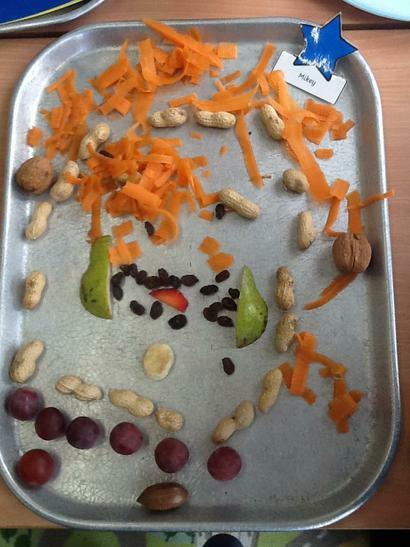 The highlight of this week was creating our Guiseppe Arcimboldo inspired fruit and veg portraits. 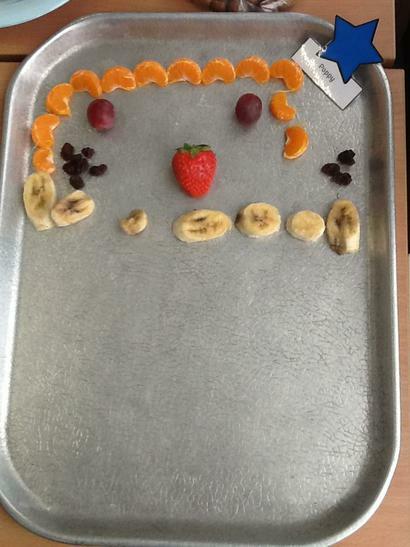 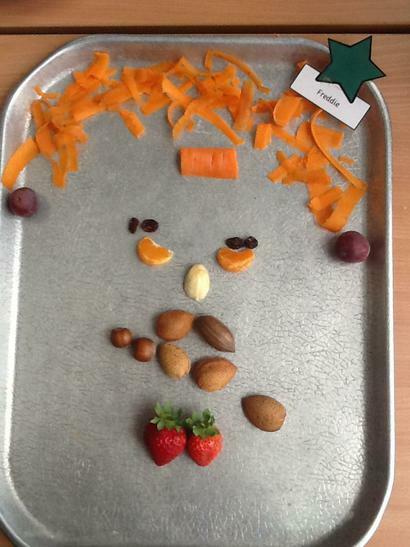 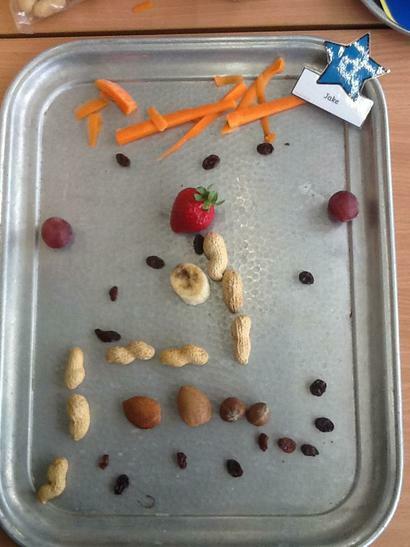 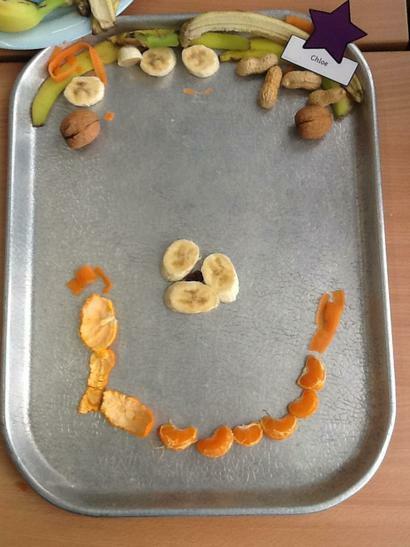 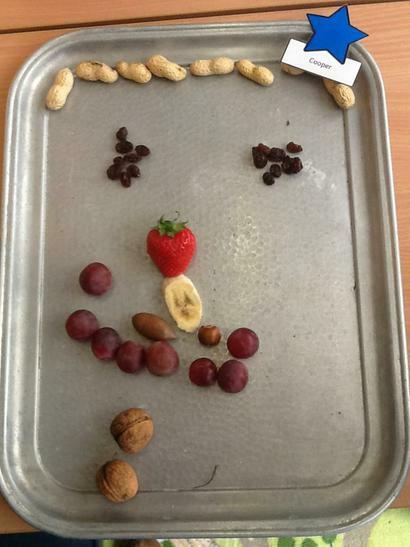 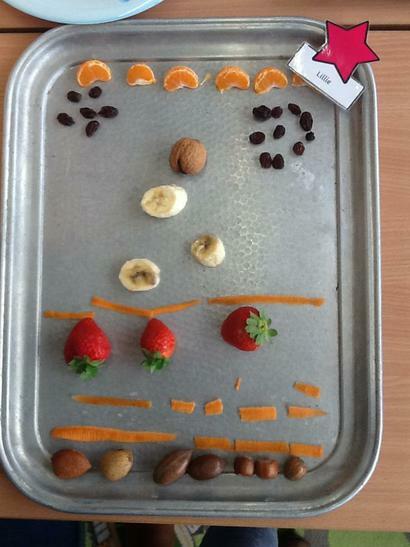 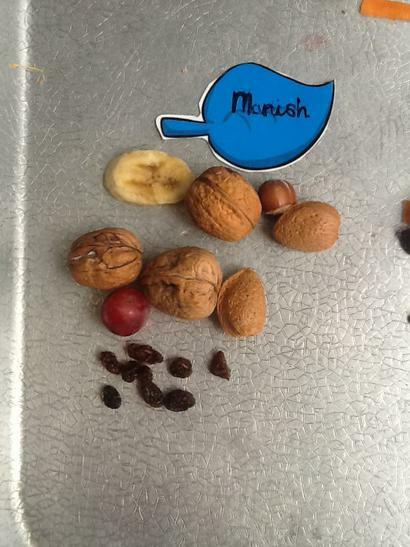 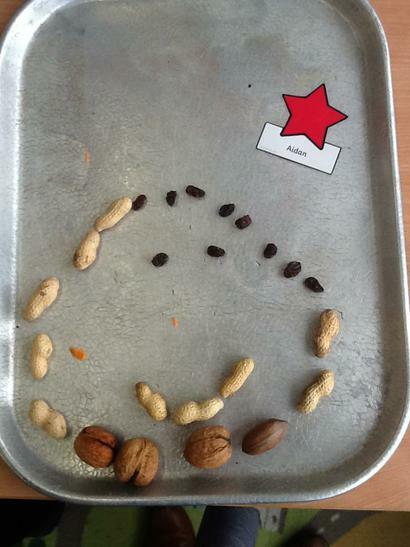 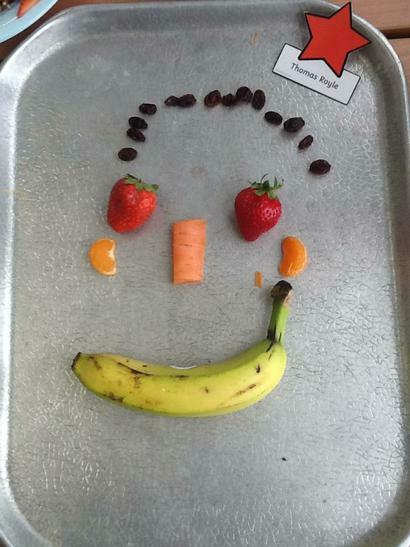 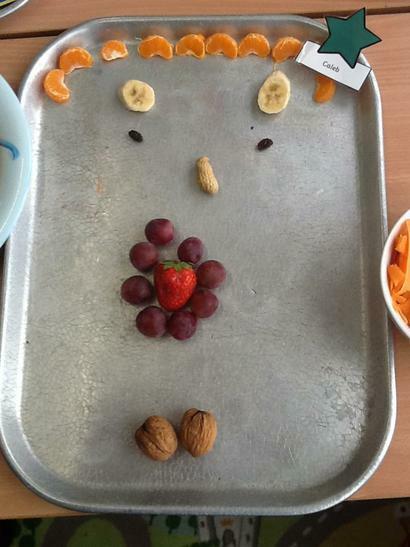 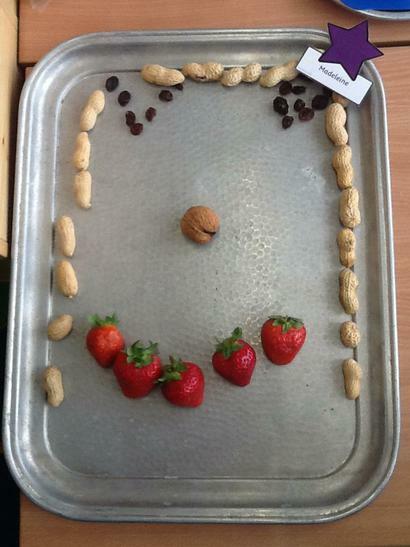 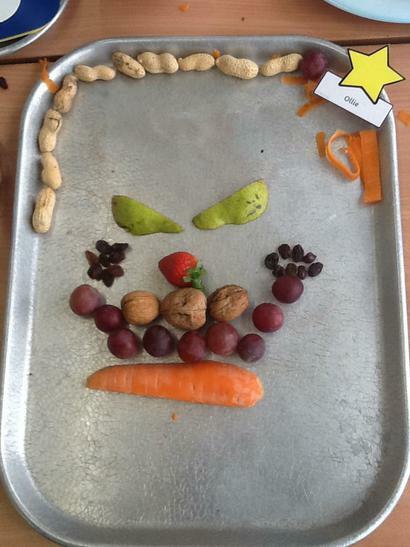 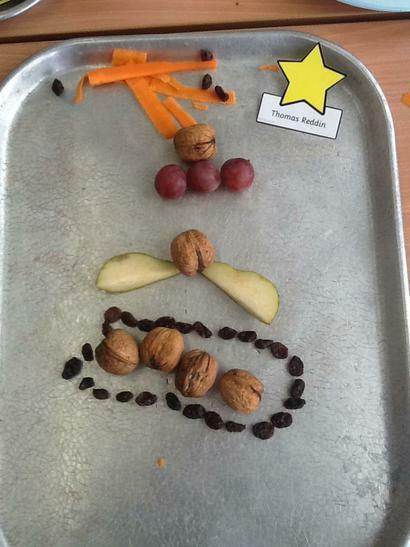 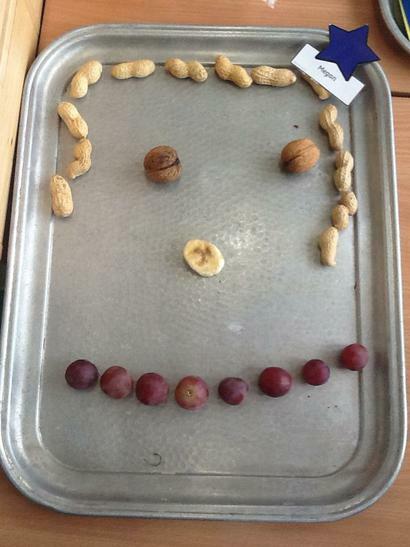 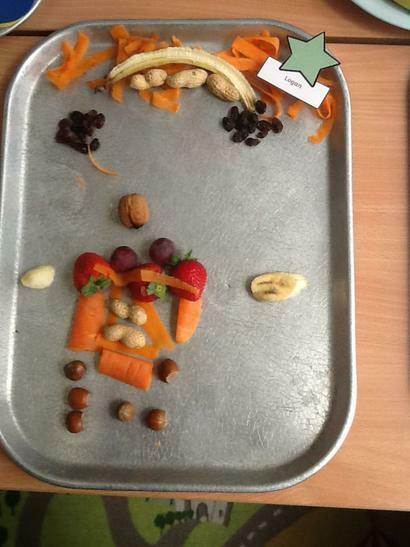 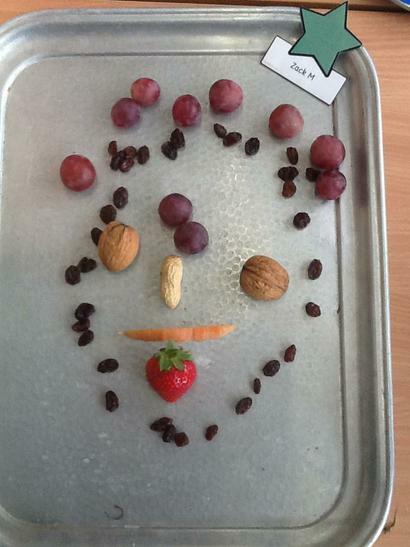 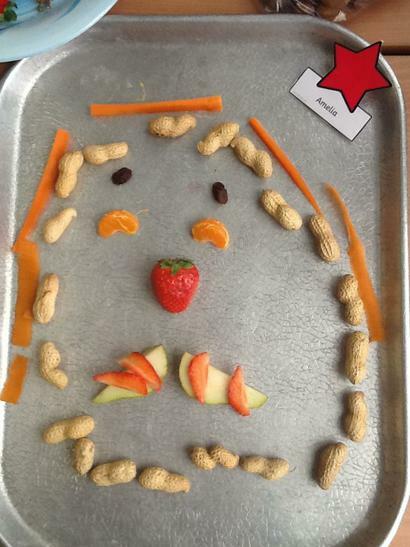 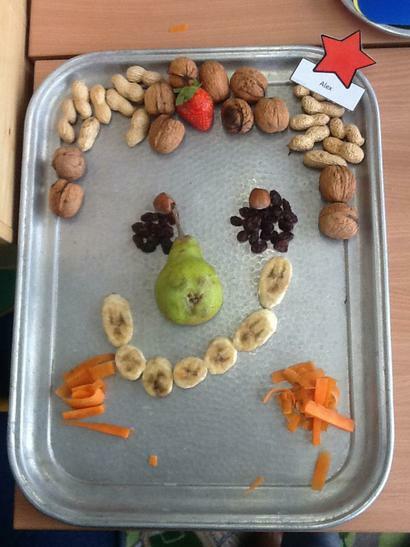 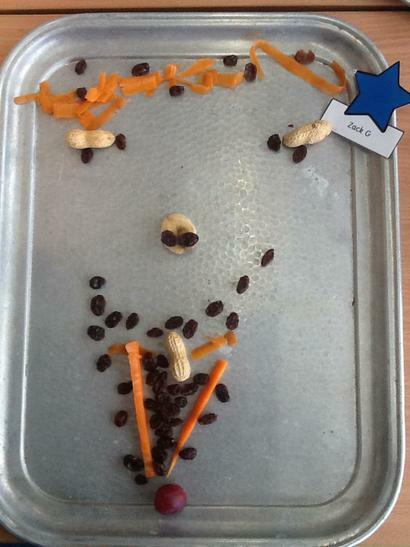 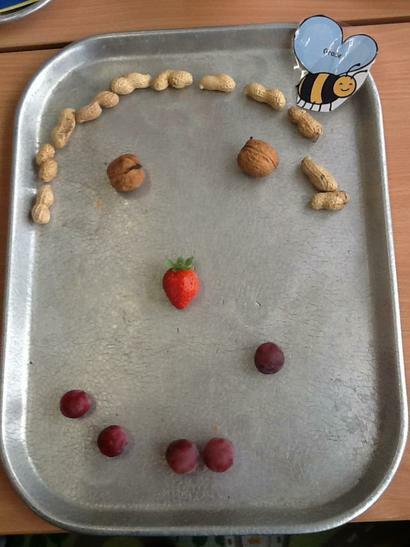 The children used their artistic license to make amazing faces out of the fruit, veg, nuts and raisins available. 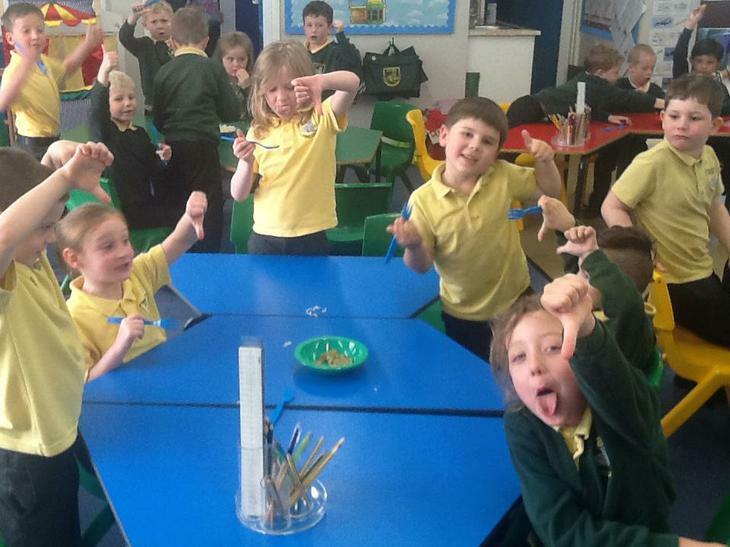 Well done to all of Willow's budding artists!